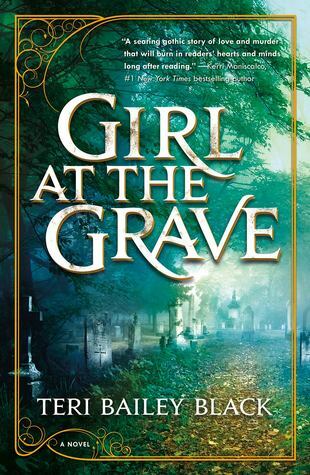 GIRL AT THE GRAVE is a slowly building Gothic mystery set in a small town with plenty of hidden ghosts for the heroine to find as she tries to uncover her own past. Readers will find Valentine's voice and character easily relatable, with a story that is easy to be swept into. The mystery is slowly unfolded with an unsuspecting villain and a love triangle to provide plenty of twists. Suspense and YA romance fans will have plenty to love here! As I'm trying to settle my thoughts after falling into this story and coming out the other side... all I can say is it's full of a fabulously Gothic setting and mystery that is constantly fudging the plot with what-ifs and who-done-its and what-did-or-will-happens. There is also a love triangle. I've never been a fan of those, but this one works. I could see how Valentine could be so torn and I was equally torn in my own heart. That alone is a nod to some good writing - to make me feel that way. There was a slue of emotions this story pulled from me - this story really runs the gamut. Valentine is basically the underdog, mistreated by her classmates and the town her entire life for something that happened when she was six years old. She's smart, tough, and hardworking. Beyond that, she is incredibly kind. She's also vulnerable and has her flaws. Really, just a terrific character. There are so many other side characters and they all play vital roles in this story. Here I also appreciated how full all the characters felt. There weren't many one-dimensional characters who felt flat. Then there's a crazy, shocking, fuel-filled, climatic ending. Even here, it isn't all done and over with in one chapter (I really hate it when stories build and build and then in like two pages it's over and you feel disappointingly unsatisfied). The ending is spread out between several things that occur as Valentine figures things out. It was a perfectly marvelous ending! My one issue, that even really isn't an issue, is that the plot is fairly slow in places. I enjoy slower plots here and there, but for those who are used to page-turners, this might grate a little. In the end, was it what I wished for? If you're looking for a small-town, Gothic setting with plenty of mystery, an engaging plot, romance, and great characters, then this is your book. I enjoyed it and will be looking to see what this author publishes next. Content: This did have some innuendo and violence, but it is quite clean, all things considered (also appreciated). 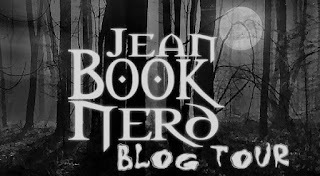 Source: I received a complimentary copy from the publisher through the Jean Book Nerd Tours, which did not require a positive review nor affect it in any way. In no particular order because I love them all. Almost all British! Apparently, there’s a lot of murder going on over there. Did you share any of the author's favorites? Any thoughts on the book or my review?